When buying a car in Oklahoma, you must obtain certain required paperwork from the seller in order to register and title your vehicle. If you buy your car from a dealer, they will normally process the required paperwork on your behalf. However, if you buy the car from a private seller, you will need to visit the Oklahoma Tax Commission (OKTC) to register and title the car in your name. Continue reading this article to get more information about the paperwork required when buying a car in Oklahoma. 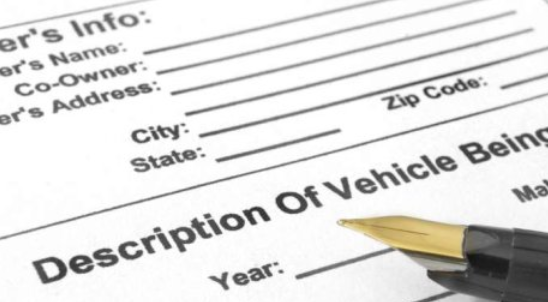 A notarized and signed title certificate for the vehicle that you are buying. A bill of sale or completed Form 722-1 (Declaration of Vehicle Purchase Price). Completed Form 729 (Odometer Disclosure Statement) for vehicles that are 9 years old or newer. You must request a certificate of title from the seller in order to register and title the vehicle. This title is also important as it may serve as proof of vehicle purchase and ownership. If the title is missing, ask the seller to apply for a duplicate copy at OKTC office and give it to you. The bill of sale or other purchase documentation. Payment of $11 title transfer fee. Payment of registration fees which varies based on the number of years a car has been registered. Once you submit all the required documents and payment, you will receive your license plates on the same day. A vehicle history report provides important information about the car you are purchasing. You will get information such as damage history, repair history, odometer reading and accident history. Consider ordering a Vehicle History Report of the car to avoid misleading sellers and vehicles with defects. There are several frauds in Oklahoma, which you may be a victim of. If you suspect any of them, contact the Attorney General’s Office in Oklahoma. This office is responsible for protecting the general public against fraudulent vehicle sellers.